It's the new way of doing things. 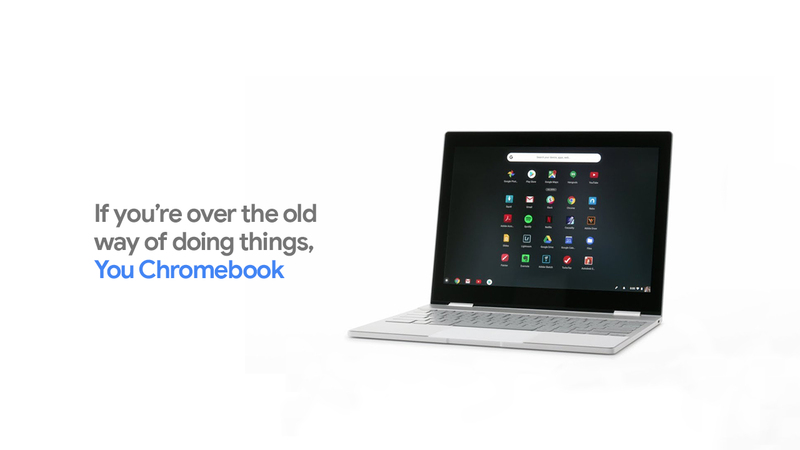 Global brand campaign relaunching Google Chromebooks. We set out to reposition the Chromebook as a computer built for today—for those who use Netflix, AirBNB, Spotify, Tinder, etc. and don't think twice about it. Over 75 different TV deliverables and over 2 billion media impressions.